Simon Murray’s keynote addressed all the above – a rounded lecture on the most burning issues around todays framing of collaboration and unafraid of approaching the danger of (another) term becoming anodyne. He emphasised the aspect of practice in collaboration and its need to be re-sharpened time after time. Then pathways were chosen and Anonymity, secrecy and privacy : collaborative ethics were discussed by Alexandra Kolb and Steve Fossey. Stuart Trait introduced “Molecular Collaboration”. 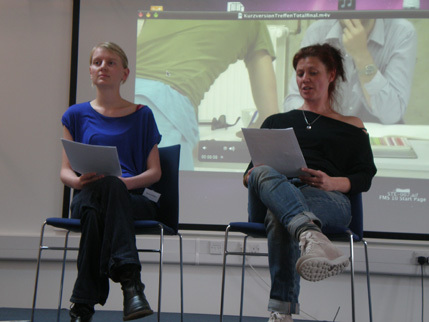 Time went quickly… and it was our turn to contribute to Session 2 on Choreographic pluralities, which meant unfortunately that we had to miss out on discussions around Labour and the Collective, which sounded really promising! 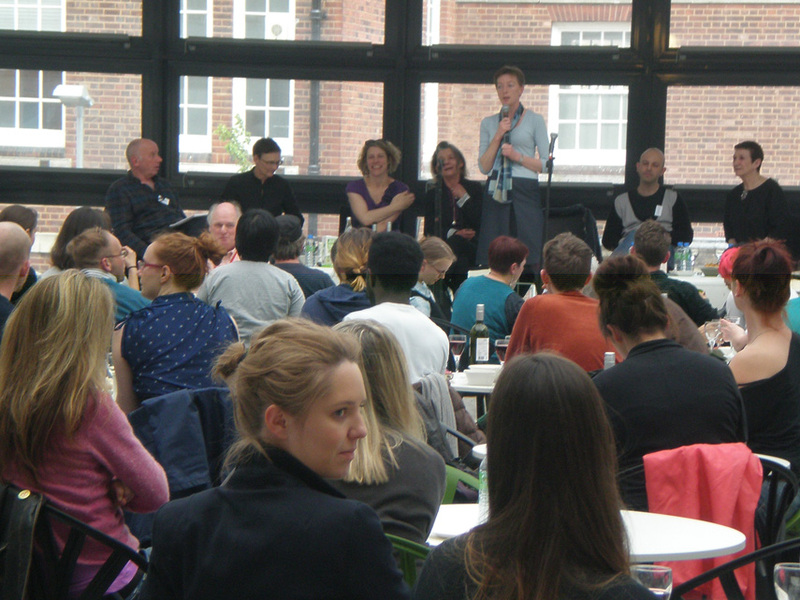 After lunch, Angela Woodhouse’s Solo performance and a dialogue by Rosemary Butcher & Susan Melrose, we joined the panel on Cross/Inter/Multi ? Working within and across boundaries with contributions by Stefanie Sachsenmaier, Point and Place, Jo Scott and Dreidre Mc Laughlin and an excellent closure of this session by Sara Giddens and Simon Jones, two collaboration veterans, if we may say so. All in all the Symposium at Middlesex University in London was a fantastic opening for the events to come on our Mini-UK-tour. We were invited by Sarah Louise Spies to present a longer version of our lecture on Post-consensual collaboration at the University of Chester. 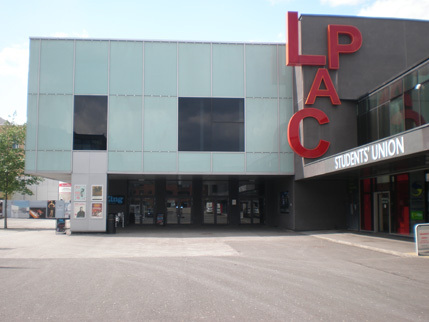 And the final destination was LPAC – the Lincoln Performing Arts Center, where Pavlos Kountouriotis inaugurated a new and exciting festival on live art and choreography – see: http://gnarl.blogs.lincoln.ac.uk.